In the past, at least for those in denominational churches, the path toward becoming a pastor was well rutted: graduate from college, move to the seminary of choice, go to school full-time, work a part-time job, get a master’s of divinity in three years, and then start working in a church in your denomination. That was true for me, and for all my pastor friends in our generation. A good number of seminary students still work toward theological degrees, but now, more are opting for a smaller (i.e., shorter) master’s degree, rather than an MDiv. Students are taking longer to get their degree, juggling work and family along with their education. A good number of students are older, getting a formal degree after years of being involved in full-time church work. They are less willing to move to where the seminary is located, opting instead to take many of their courses online. A number of students will do their ministry work outside of traditional church settings, and students who do pursue work in a church are less likely to be connected to a particular denomination. Many will serve in nondenominational and nontraditional settings. Another interesting note: a growing number of ministry leaders have little or no formal theological training. This is especially true of pastors who work at very large churches, and those who are involved in church planting. Some students will do their ministry work outside of traditional church settings, and those who do pursue work in a church are less likely to be connected to a particular denomination. Beyond how leaders are getting trained, new forms of church are emerging. While traditional brick and mortar churches—both large and small—are still found throughout the country, there are also storefront churches, video-fed, multi-site churches, house churches, pub churches, and marketplace venues. These congregations are located in inner cities, suburbs, and rural areas, and they have their own unique characteristics and challenges. Pastors serve full-time and part-time. And some—by choice or by necessity—serve bivocationally. Whatever the shape of the work of ministry, it is an important calling: Ministry leaders influence the lives of people, local congregations, and society in significant ways. The work is demanding and challenging. Ministry leaders want to do this work well. And so, ministry leaders need good theological training. Every year I get a health checkup with my physician. I want to stay healthy. And when I get sick, I go back to my doctor in order to get well. I put a lot of trust in my doctor. I want a physician who is well trained and who will serve me well. My health is just too important. The work of ministry is also important. The church needs well-trained and well-formed leaders. Anderson was saying that pastors must do their work with great care and diligence. Whether right or wrong, ministry leaders through words and actions often become God’s representative. People rely on us, trust us, and put their confidence in us. Pastors have a great deal of influence in the life of a local congregation. They must do their work well, and this requires good theological training. But that does not necessarily mean getting a master’s degree from a traditional seminary. The question is, in a changing world and an increasingly diverse ministry world, how do we reimagine theological education? That includes reaching a world that has seen the rise of the “nones,” people who consider themselves religiously unaffiliated. A Pew Research Center poll conducted in 2012 found that only 10 to 12 percent of nones are looking for “a religion that is right for them.” Eighty-eight to 90 percent are not. Our old build-it-and-entertain-them model of doing church doesn’t work anymore—if it ever did. The church, in its many emerging forms, and those who lead these churches, set the agenda for ministry training. 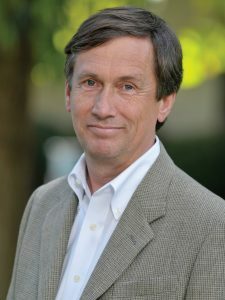 Theologian Craig Dykstra of Duke Divinity School helps imagine this reshaping of the agenda with three questions: 1) What is God doing in the world? 2) What do churches need to become to join God’s mission in the world? 3) What do seminaries need to become to equip the church to join God’s mission in the world? These are tough questions! Honest answers will push churches, schools, and denominations to recast what theological training will look like in the future. The path forward is uncertain. A lot of assumptions and current practices get challenged. Of this I am certain: Seminaries of the future will not look like seminaries of the present, nor the past. Courage and innovation are required. Here are some guiding thoughts as we face the challenges ahead. Earning a graduate theological degree should not be the only path toward recognition of competence for ministry. Seminaries in partnership with churches and ministry organizations must create new avenues of training that are both theologically reflective and practical. This raises the question, what is required in order to be ordained by a church body? Is it necessary to earn a master’s degree? Theological education must be affordable and accessible to ministry leaders who are unable to pursue graduate studies. Not all ministry leaders have had the good fortune to be able to get a college degree and afford the high price of a traditional seminary education. How do we make theological training available to a wider number of called and gifted ministry leaders? Theological schools must train ministry leaders to serve the emerging world. A student must never say, “I was trained to serve in a world that no longer exists.” Ministry training, while being theologically robust, must also be culturally and contextually relevant and practical. Professors in theological schools must encourage students and emerging ministry leaders to imagine new forms of ministry. Professors must push students toward ministry innovation, even beyond where professors are comfortable. Reimagining theological education requires what L. Gregory Jones, provost of Baylor University, calls “traditioned innovation.” We appreciate and learn from our traditions as we move in new directions. Theological education in the future will look different than it does today. We need anchors and sails in order to serve the current and future church well. I must be one of the new style of ministry students. I have 15 years in law enforcement and degrees to support the last 15 years of service. The experience I received for counseling, crisis management, as well as others have helped me in ministering to those in the community. A few years ago I noticed a draw to classic theological training, in a non-traditional manner (online). Fifteen months ago I began the Master of Theological Studies program at the University of Northwestern-St. Paul. I am absolutely certain the schooling is beneficial and necessary. In order to be Ordained in Word and Sacrament (ECC) I will need to continue onto the MDiv program. I can promise you, the financial cost as well as the family commitment to pursue an online education is challenging and laden with faith-building opportunities. While it might not be as difficult as taking a family of 7 to seminary with me, we are not without sacrifice. Thanks be to God for your sense of call and your response. You may well bring a great perspective to full-time ministry upon completion of your education. The educational road to your end goal of ordained ministry is possible, though it is not meant to be easy. We are reminded of the tens of thousands whose desire for educational and professional advancement and improvement is not only not easy, but not even possible, due to family obligations and low wage jobs. Very good points! For doctor of ministry programs the students do preparatory work ahead of time, then come together for a limited amount of time for high quality interaction, then go back home for final reflection. It seems like this could work for many situations. The costs of upending one’s family is increasingly untenable for many. On the one hand, there are many good resources online (or that could be created) to permit learning where one is ministering. On the other hand, it can be invaluable to at least temporarily leave one’s familiar “ruts” and interact face to face with gifted teachers and fellow students on the journey. The doctor of ministry model would seem to be one way to achieve this balance. There are untold ways for people to be in ministry for the sake of the kingdom; many do not require seminary education, and many more do not require even university education. Yet the education of pastors must remain at least as rigorous as in the past, and no doubt more so. Do not dumb down requirements for ordained ministry! As for the expense and time, all higher education is too costly in the US, creating a system in which graduates are either the offspring of the well-to-do, or burdened by debt. Yet rigorous education is still required for those who want to be physicists, surgeons and others. One can serve in a healing capacity without the education of a physician, but I don’t want a surgeon or family physician who feels called to medical service but who hasn’t had the time or money to earn the degree. At the same time I don’t want my pastor to be simply a devout person who feels called. There is no spiritual advantage to ignorance. In addition, there is no substitute for internship, no matter that it is inconvenient for the family, sometimes causing disruption in the education of the seminary student’s children’s education. Physicians have fellowships, moving about the country to experience work in various hospital and clinical settings. Of course it is inconvenient. OK, do something else then! The “emerging church” is not something new and fresh and “with it.” The church has ALWAYS been emerging, changing and shifting in style and thought from place to place and time to time. One can never be trained for what doesn’t yet exist. And it is an emphasis on continuing education that keeps professionals in every field up to speed with their particular “emerging” field. Easy and convenient should not be words associated with theological education.